Especially the chief members of the Church, kings and princes, should guard the interests of the Church, and see to it that errors are removed and consciences healed, as God expressly exhorts kings. 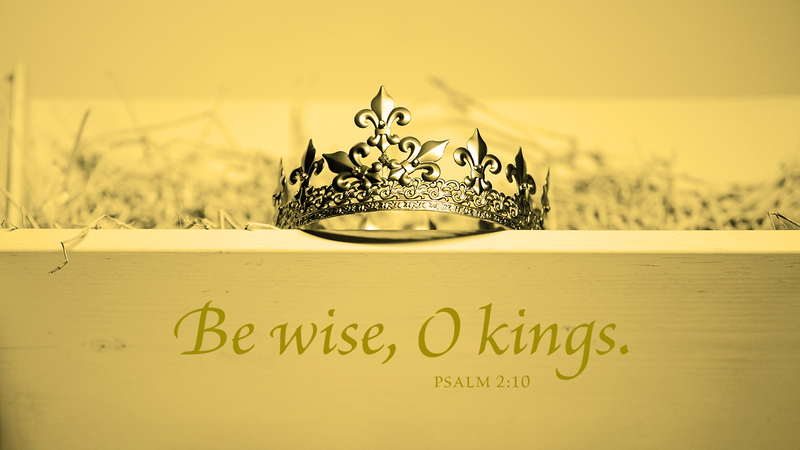 “Now therefore, O kings, be wise; be warned, O rulers of the earth” (Psa 2:10). For the first care of kings should be to advance the glory of God. So, it would be very shameful for them to use their influence and power to support idolatry and endless other crimes, and to slaughter saints. How is a guilty conscience to be healed but through the proper instruction of Christianity? Correct teaching about forgiveness of sin would itself, work wonders in the life of a congregation, a synod, a nation. If people only knew how loving the Father is, how willing to forgive the repentant, all but the most belligerent would be at peace with God. Therefore, it would behoove kings, ministers, presidents—and for that matter, mayors, city managers, and other community leaders—who are Christians, to be sure the First Article is properly taught in their own churches. The godly effects would go far further than their own congregations. Prayer: Give me the courage, Lord, to fulfill my vocation in a way that brings you glory. Amen. 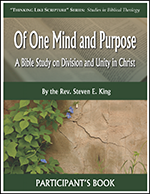 Of One Mind and Purpose is a six-session study examines the unique way in which the Bible describes being united in Christ. It explains how God’s Word can either divide people or bring them together in faith, showing how the relationship we have with one another in the Church comes through Christ alone.